뮌헨, 독일의 로스트 소울스 옥토버페스트 | 호스텔월드에서 예약하세요. Welcome to the Lost Souls Oktoberfest campsite, We're a new travel company run by young travellers, For young travellers. Our aim is to provide shared or private tent accommodation perfect for the backpacker on a budget. After all, The more money you save on accommodation = more steins you can sink in the beer halls... We dont charge any extra for linen, Sleeping bags or inflatable mattresses. You don't have to bring anything with you other than a smile and an open mind. 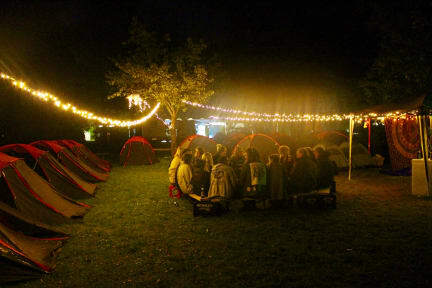 The campsite we stay at is home to the famous Munich wave, It also has a bar and nightclub which is open till the early hours in case the festival wasn't enough for you. Thousands of international travellers and backpackers attend this event every year and a lot of them stay at our campsite with various companies so you'll be sure to have a great time and meet lots of like-minded friends. 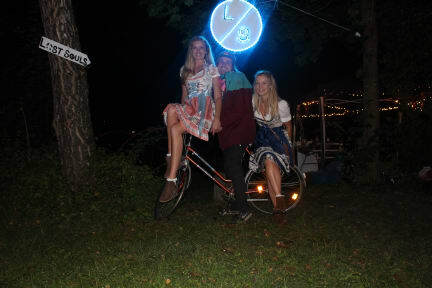 And the best thing, Oktoberfest is right on your door step, We're the closest campsite to the festival... So you can leave the site, and within 15 minutes be sipping on some of that famous Oktoberfest beer. Our location is awesome. Thalkirchen is so close to Oktoberfest grounds. We have a beautiful river that runs through the park and the famous Munich wave on our door step. we might even have a surf board that you can use FOR FREE. The campsite has its own bus stop so its super easy to reach the festival.